The article covers the various aspects of Flowfold wallets. Flowfold wallets have been on the market since the year 2005. They come in a wide range of varieties made up of modern and lightweight materials. The company lays emphasis on the functional design of their products. 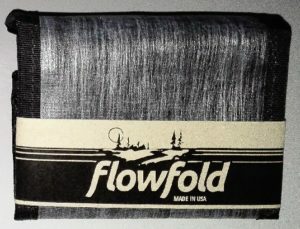 Flowfold Company has been creating everyday products since the year 2005. The products are made in the USA and the company is always committed to make sure that their emphasis is on environmental sustainability and also giving back to the community. In Geology, Flowfold refers to layers of a rock that flow smoothly together. The name of the company reflects the nature of the products that they make. They are convenient at all times and can be used in different places. When we first opened the Flowfold wallet, it felt a bit plasticky. I therefore expected that it would be having a bit of scratches and folds as I continued using it. 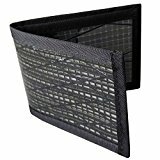 However, that did not happen, I later realized that the wallets are made up of a sail cloth that is reinforced with a super-thin construction that makes it resistant to scratches. The different stress joints are also reinforced with a ballistic nylon that makes sure that your wallet does not wear out easily as you keep pulling out your credit cards from time to time. The wallets are also very slim and light. You can easily carry the wallet while walking around without someone noticing that you are carrying it in your pocket. 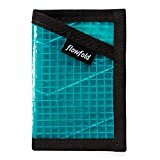 Another striking feature about Flowfold wallets is their ability to float on water even if they are full of cash and cards. If you were sailing or fishing, you need not to be worried when you lose your wallet all of a sudden, you should be sure of finding it since it will float on water. Flowfold wallets are also designed in such a way that they can fit in to the daily activities that we enjoy doing. Such activities include hiking, sailing, biking, surfing, hunting, running and many other activities. The company also utilizes the factory scraps by up-cycling the materials that would have otherwise ended up in a landfill. As such the company contributes a lot towards environmental conservation measures by lowering the quantity of the non-bio degradable materials that are a major source of environmental pollution. 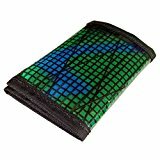 The wallets are also made up of clear fabrics that have different embedded thread patterns that give the wallet a modern look. There is a good combination of colors that makes the wallets to look more attractive. Flowfold wallets are also made up of a clear material that allows you to see through. You cannot waste your time fumbling through the wallet since you can easily see what you want through the pockets. Vanguard wallet is a good choice if you need to minimize the daily items that you carry. You can easily fit in 10-15 cards in Vanguard wallet. You can also carry your cash, driving license and many other essential cards in the wallet. The wallet also has hidden card pockets that can store up to 10 credit cards. The hidden pockets make it difficult for one to realize the exact items that you are carrying in your wallet. It therefore gives a sense of security. It is also made up of lightweight and water-resistant fabric that is spot clean. The wallet is also made up of a tough and durable design that has a lifetime warranty. It also fits anyone who may need to have a classic look. 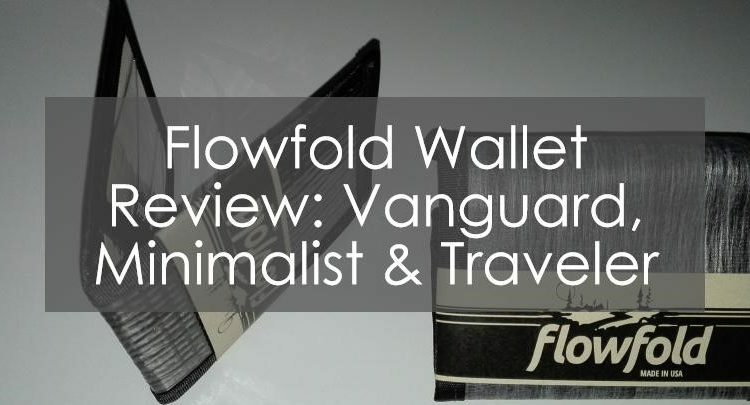 Flowfold Traveler wallet is one of the strongest and lightest wallets in the market. The wallet is fitted with Kevlar fiber. When it is empty, it weighs 1.1 ounces and it is spacious enough to hold the necessary materials that you need to carry while you are traveling. There are six pockets for the credit cards and also a transparent slot where you can store your ID. There is also a large pocket where you can store your cash. It is also wider and deeper, meaning that you can store international sized currency of various sizes. If you need more space, then traveler wallet has it all for you. There are additional 5 pockets, three of which are hidden. If you like spending your time in the water, then you should look for the Flowfold traveler wallet since it easily floats on water. It is also made up of high-performance outdoor materials. The use of sailcloth is one of the features that makes it weightless and makes it last longer. Flowfold minimalist wallets are built on the concept of adventure. One of the things that stand out in the minimalist Flowfold wallet is the distinctive design that it is made up of. It is made from a high-performance racing sailcloth that has a textured appearance making it durable and also lightweight. The minimalist wallet comes in a small variety of colors thus enabling you to choose from them according to your liking. It is also made up of a very slim edge and it is what one needs when they are packing to go for a trip or a hike. It weighs 12g without cards and it comes in a size that is bigger than that of a credit or debit card. Flowfold wallets are very well priced depending on the style and the choice of the material that you want. The company stands by everything that they make and therefore they offer a lifetime warranty. We would highly recommend Flowfold wallets to anyone who needs durable wallets that can meet your needs. If this is not your style, check out our general slim wallet review for more options.